There’s nothing more classic than key lime pie. So why post a classic form of a classic recipe? If any recipe deserves to be revamped, it’s a key lime pie! This particular recipe uses avocado and cashews for the filling, and is creamier than you can imagine. 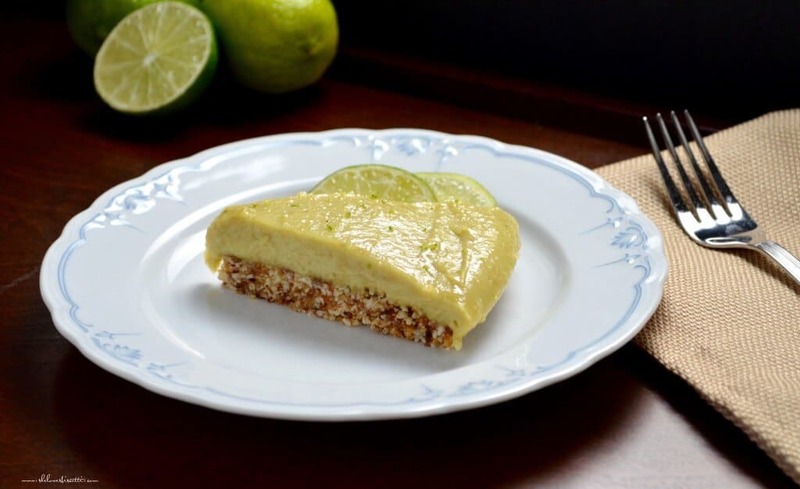 Just one taste of this Vegan No Bake Key Lime Avocado Pie, and you’ll be hooked! There are so many wholesome ingredients in this recipe that I’ve decided to focus on one of my favourites: the avocado. Everyone knows that avocados are the star ingredient in guacamole, but they can easily be incorporated in almost any dish. For example, they are a wonderful addition in salads. Slice them up and you can use them in a sandwich instead of a slice of cheese. If you are trying to cut down on the amount of butter in your diet, you can spread a teaspoon or so on your breakfast toast. Are a lover of smoothies? Well, their flavors can easily blend with just about any fruit or vegetable and when properly incorporated, their texture becomes velvety smooth. In this recipe, avocados are used in the pie filling, and they provide a robust sort of sweetness and silkiness that counteracts the tartness of the limes. I could continue to sing the praises of avocado, but I think you I’ve made my point. One suggestion with regards to the avocados in this recipe: as avocados ripen, they also sweeten. So be sure to use super ripe avocados here! I would also recommend that you taste the filling as you are making it, and judge for yourself whether you should add more avocado than the recipe warrants. Does the filling have an almost sour aftertaste? If so, add some avocado! But if it goes down smooth, then it should be fine. Nutrition tip: Too much of a good thing doesn’t always make it better. Even though avocados are high in monounsaturated fats, which are considered to be healthy, it is still a fat source. Keep in mind that a portion size is 1/5 of an avocado and it provides about 50 calories and almost 20 vitamins and minerals. 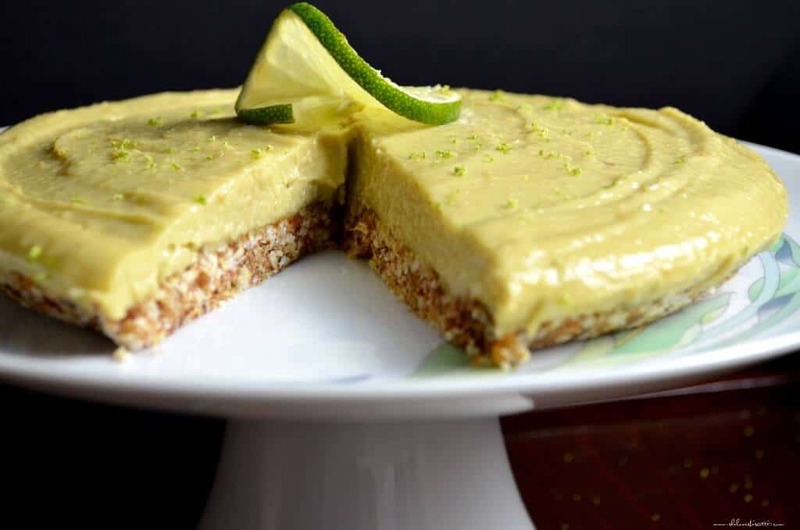 Just a few weeks ago, my daughter came back from a potluck supper singing the praises of a vegan no bake key lime avocado pie that one of her friends had made. I have to be honest with you – I was a little skeptical about this one. I’m honestly not too big of a fan of limes, so I was reluctant to try this pie out. But my daughter pushed my complaints aside and made it herself… Let me just say that once I tried it, I couldn’t wait to share it with all of you. I’m not vegan. But I know a good thing when I taste it and I can assure you that this will definitely become one of your go-to pies. My favorite thing about this recipe was actually how light it tasted. 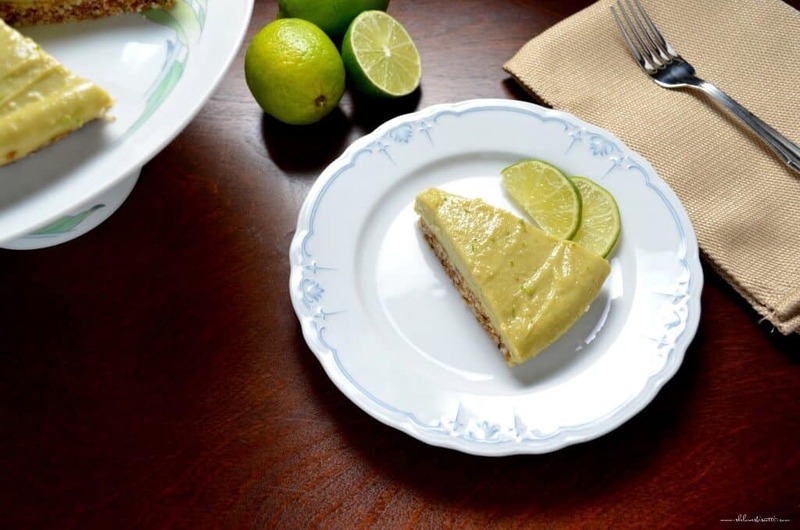 Key lime pies are usually made with egg yolks and sweetened condensed milk , and though it may taste delicious at first, they usually leave you feeling heavy. 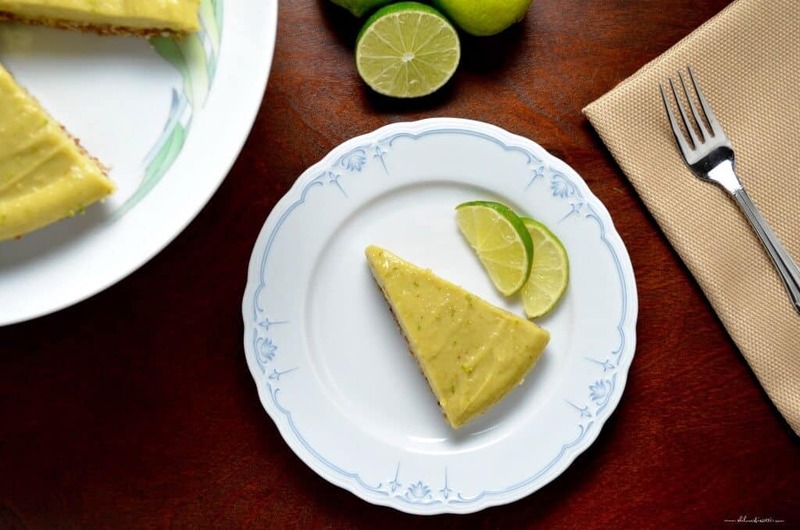 But the wholesome ingredients and natural sweetness of this vegan no bake key lime avocado pie will leave you feeling ready to take on the world! This pie can be made one day ahead of time, too, so it’s a really convenient dessert to have on hand when you’re hosting. The original recipe can be found here. My daughter clearly takes after me, because she made a few substitutions to the original recipe. She reduced the amount of shredded coconut and increased the almonds in the crust. Also, my daughter used roasted cashews instead of the raw, water-soaked nuts that the original recipe calls for; if you are a raw vegan (which we are not), you can opt to soak your raw nuts. You can easily make individual portions of this recipe. Just layer and serve them in small glasses, jars or even muffins liners. Are you willing to try a revamped version of a classic? 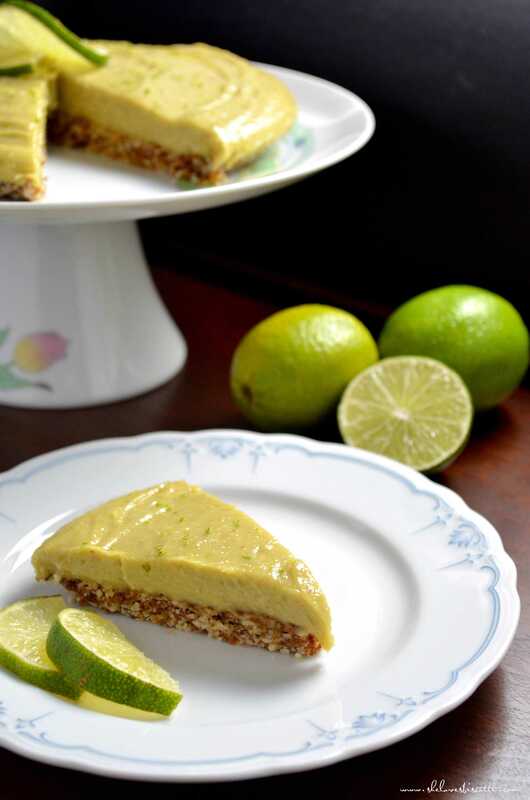 There’s no better way to start than with a Vegan No Bake Key Lime Avocado Pie. If any recipe deserves to be revamped, it's a key lime pie! 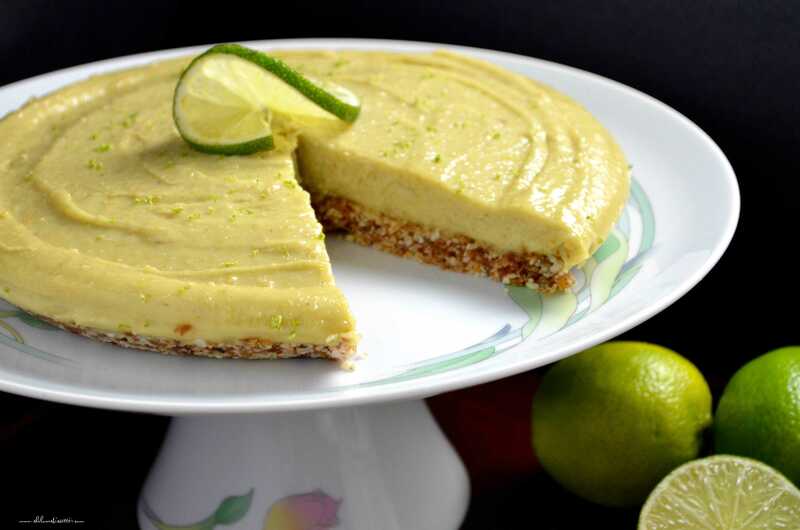 This Vegan No Bake Key Lime Avocado Pie uses avocado, cashews, almonds, dates & coconut oil. Combine almonds and coconut in a food processor and pulse until beginning to combine. Add dates, vanilla and salt. Process until the mixture comes together. Press the mixture into the bottom of a 9 inch spring form pan or pie plate which has been previously oiled (You can use the bottom of a heavy glass to gently “pound” the mixture). Place in the refrigerator while making the filling. Place all of the ingredients for the filling in a food processor and blend until smooth. Pour filling into your crust and spread. Smooth top with a spatula. Place pie in freezer for a few hours until set and then transfer to refrigerator for a another 3 hours or overnight. Can be kept in the refrigerator well wrapped for 3 days or keep frozen for up to 1 week. (defrost the pie in the fridge for a couple of hours before serving. 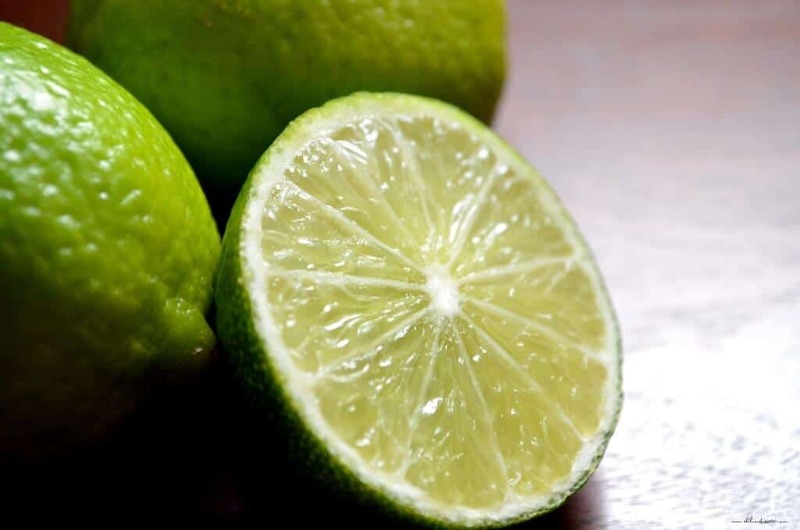 Garnish with lime slices and zest. 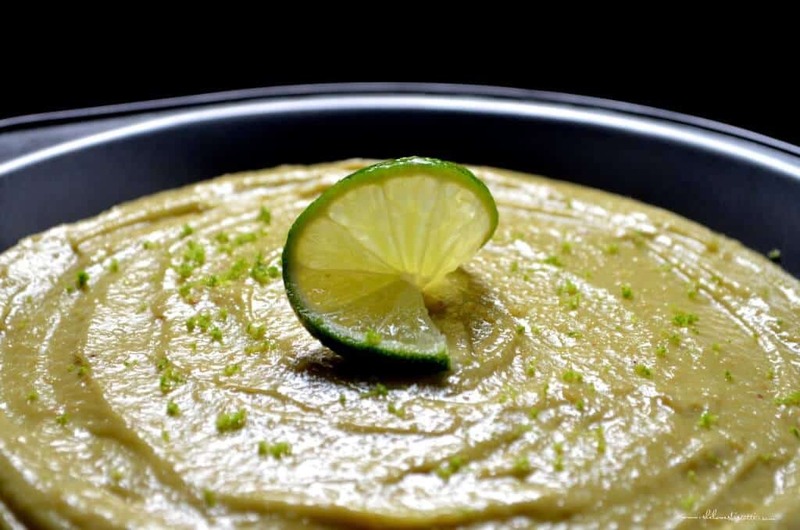 Although the original recipe calls for key limes, Persian limes work well in this recipe. You can easily make individual portions of this recipe. Just layer and serve them in small glasses, jars or even use muffins liners to make individual tarts. So happy to hear Manalesa! Enjoy!!! Thanks for this great recipe! Looking to make this tonight and I may have missed it but did you soak your cashews ahead of time, or no? Thanks! Can’t wait to make it! P.S. You might consider putting the “pressing hard” directions in the recipe. . .or was I the only one that didn’t know how to do it? The avocado key lime pie was delicious, both the filling and the crust. However, the crust didn’t hold together (didn’t adhere), so it was just crumbly goodies to scoop up and sprinkle across the top of the pie…which was okay. I’m wondering, though, if I should have added, say, 1/2 coconut oil? I looked up some other vegan crusts and they, like yours, don’t add any oil or liquid, so maybe I didn’t freeze it enough. Three hours in freezer and three hours in refrigerator. I don’t think the amount of time is the issue. The only other question I would have is if the crust was spread out too thinly? That is to say in a pie plate larger than 9 inches. I will use the bottom of a heavy glass to gently “pound” the mixture. Not sure if that makes a difference, but you can try. Hopefully the crust will stay together next time you try it. Ooh, this looks good! 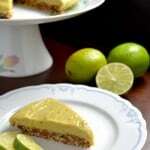 The next time I’m craving key lime pie I’m going to have to try this one out! I love that it’s made with avocados, too. Yes!! Raw and vegan, love it!! Can’t wait to try it.